Alright, all you old timers. This is dating back before even me, but it might be a sentimental hit with anyone who ever played video games in a smokey arcade to the iconic beats of Thriller circa 1983. 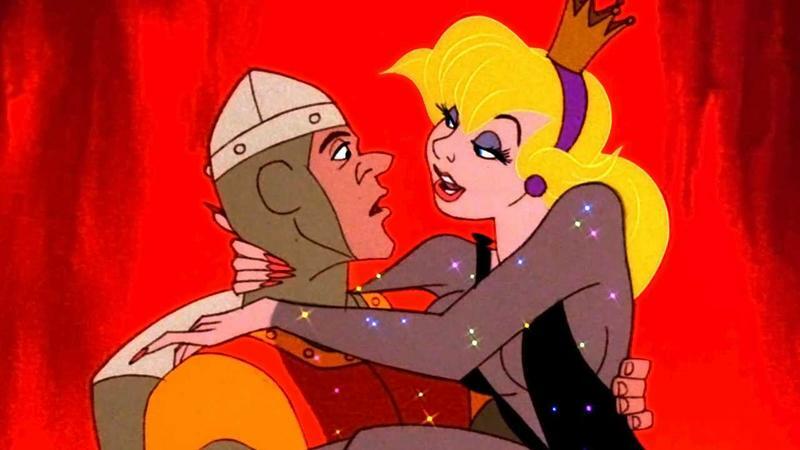 Legendary animation director Don Bluth, in collaboration with Producer Gary Goldman, is looking to get the Dragon's Lair franchise back on its feet with a new animated movie. Together, the pair is seeking $550,000 to bring Dirk the Daring to the big screen, or rather, they are looking to fund a 10 minute short film that they will use to pitch to studios. Using this pitch, they'll aim for a feature length budget of about $70 million. It's a long shot, one that they even admit might not become a reality in the pitch. Animated motion pictures cost loads of money and time. If you have followed the latest publicity on animated films or checked out boxofficemojo.com you would know that these films, traditional hand-drawn or computer generated can cost anywhere from $55 million to $240 Million, some even more – just on the production. Promoting an animated film could cost an additional $100 Million to market the film worldwide. In order to finance the production, promotion and distribution, independent companies like Don Bluth Films must approach major film studios, private investors, or investment banks for loans and/or equity investment to finance their films. Though those entities may fulfill an important role in the process, their involvement also comes with serious strings attached, which can often push and/or pull the story and its design elements, in the wrong direction or even decide to cancel the production all together. So, in essence, you'll be funding a film pitch that might never actually become the actual movie you want to see. At least you'll get a documentary, the short film, and whole lot of physical rewards out of it, but I'm not so sure about how I feel with this one. Don Bluth is a great director with classics like The Secret of Nimh, The Land Before Time and Anastasia under his belt, but he has quite a few stinkers to his name as well. It's not that I think he'll make a bad movie, it's just that I'm not so big on the idea of funding a fundraiser that might be a Hollywood success. The pricing tiers are a little outrageous too. You certainly can if you want, though. The Kickstarter is asking for $550,000, and the sentimentality is tingling for some. It has already gained $55,000 as of writing.